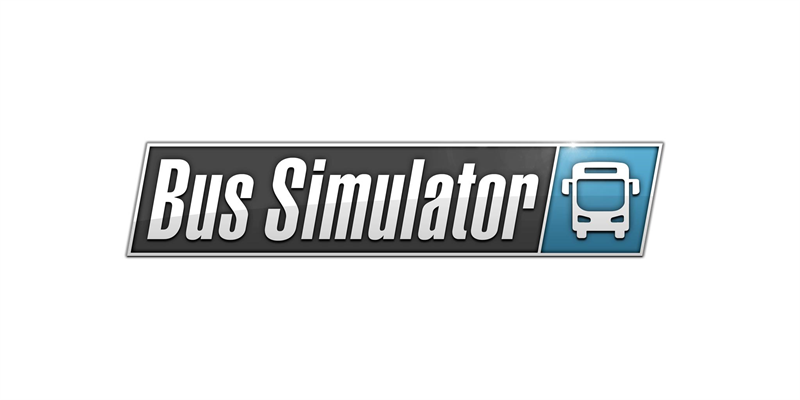 Bus Simulator is coming to Xbox One®and PlayStation®4! Moenchengladbach/Germany, August 14, 2018 – astragon Entertainment GmbH and stillalive studios are very happy to announce the upcoming Bus Simulator for Xbox One® and PlayStation®4 today. The port of the successful Bus Simulator 18, which has been released on PC in June 2018, will bring the first bus simulation game to the current console generation! 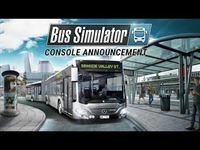 Just like the PC version, Bus Simulator for Xbox One® und PlayStation®4 will offer players the unique opportunity to create their own bus company in the fictional European city of Seaside Valley and establish a veritable bus empire with official licensed buses by well-known brands such as Mercedes-Benz, Setra, MAN and IVECO BUS. Thanks to the great number of available buses and numerous, challenging missions, as well as a huge city with various districts, players can look forward to long-lasting fun and plenty of variety. Another highlight of Bus Simulator on consoles will be the game’s multiplayer mode, which will offer players the unique opportunity to create and manage a bus company with up to three other virtual drivers. Together they can set out to complete numerous missions, expand the city's new bus network, unlock and develop new city districts, drive alongside each other in cooperative convoy trips, or utilize the ticket inspector mode, which will allow one player to drive the bus while a colleague checks the passenger’s tickets or assists in the many in-bus events such as customers listening to loud music or blocking the doors. Players who would like to seize the opportunity to test Bus Simulator for Xbox One® and PlayStation®4 before its official release should not miss visiting this year’s gamescom 2018 in Cologne/Germany. As a world premiere Bus Simulator will be playable at the astragon Entertainment booth in hall 8.1 / B-031 from August 21, until August 25, 2018! Bus Simulator for Xbox One® and PlayStation®4 will be released in retail as well as in digital stores in 2019. © 2018 astragon Entertainment GmbH and stillalive studios. Published and distributed by astragon Entertainment GmbH. Bus Simulator 18, astragon, astragon Entertainment and its logos are trademarks or registered trademarks of astragon Entertainment GmbH. "Mercedes-Benz" and the "three-pointed star in a ring" are trademarks of Daimler AG and used under license by astragon Entertainment GmbH. Manufactured under license from MAN. MAN is a trademark of MAN Truck & Bus AG. IVECO BUS and URBANWAY are brands of CNH Industrial. Manufactured under license from CNH Industrial. "Setra" and "K im Kreis" are trademarks of EvoBus GmbH and used under license by astragon Entertainment GmbH. Unreal, Unreal Engine, the circle-U logo and the Powered by the Unreal Engine logo are trademarks or registered trademarks of Epic Games, Inc. in the United States and elsewhere. All intellectual property relating to the buses and bus equipment, associated brands and images (including trademarks and/or copyrighted materials) featured in the game are therefore the property of their respective companies. The buses in this game may vary from the actual products in shape, colour and performance. All rights reserved. Kinect, Xbox, Xbox 360, Xbox One and Xbox LIVE are either registered trademarks or trademarks of the Microsoft group of companies. PlayStation is a trademark of Sony and/or its affiliate(s). The “PS” Family logo and “PS4” are registered trademarks of Sony Interactive Entertainment Inc. All other names, trademarks and logos are property of their respective owners.